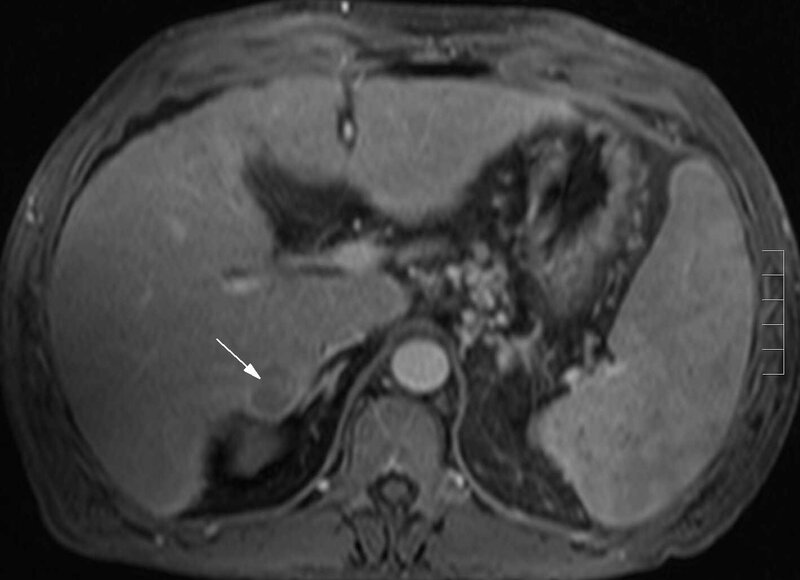 This pathway provides guidance on which adult patients with risk factors for hepatocellular carcinoma should undergo surveillance and which method(s) to use. 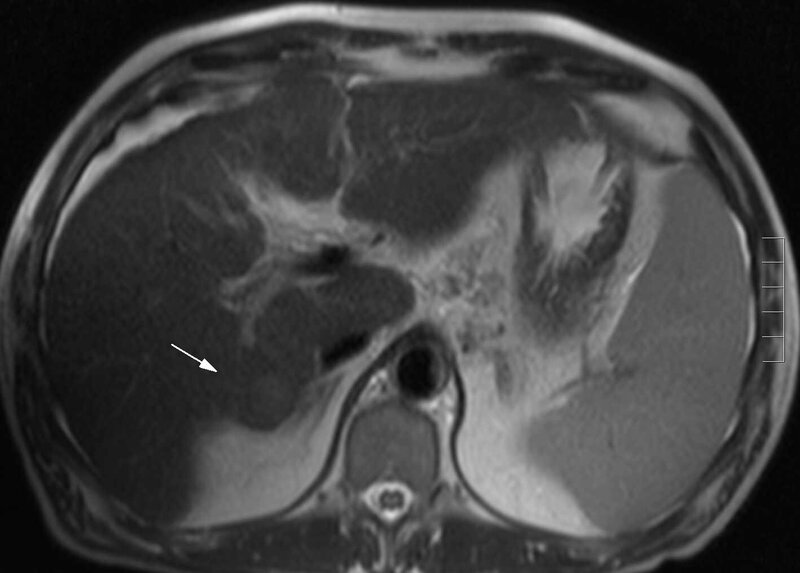 Image 1a and 1b (Ultrasound): Within segment 6 of the liver, there is an approximately 2cm subcapsular hypoechoic lesion (arrow) which does not demonstrate any increased vascularity. 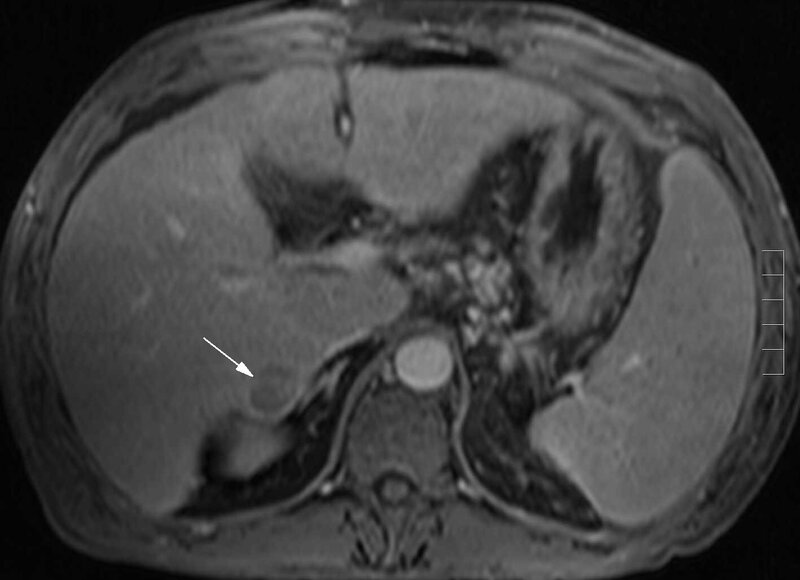 1c Image 1c, 1d, 1e and 1f (Triphasic Computed Tomography): CT of the same patient shows a cirrhotic liver with patent hepatic and portal veins as well as ascites. 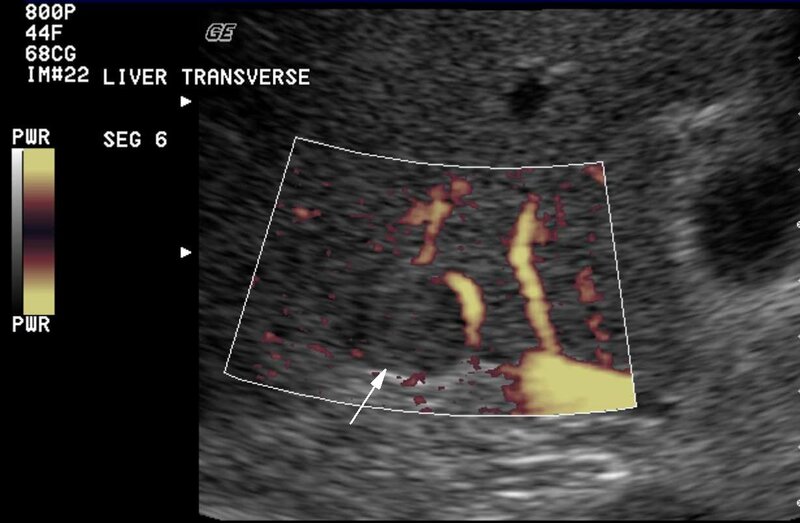 Within segment 6, there is a nodular area which demonstrates slight enhancement corresponding to the lesion identified on ultrasound (arrow). 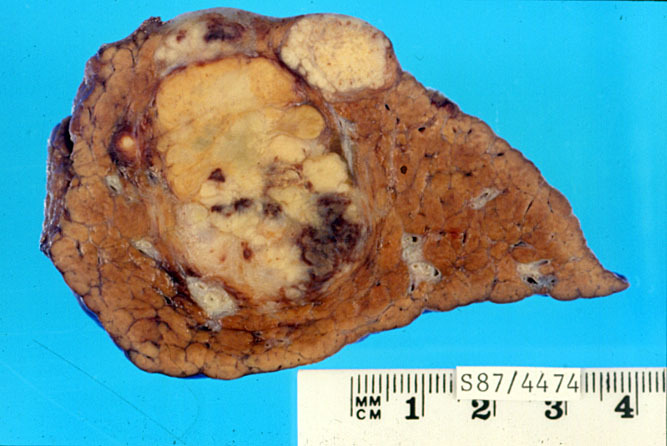 This lesion could represent either a dysplastic cirrhotic nodule or an early hepatocellular carcinoma. 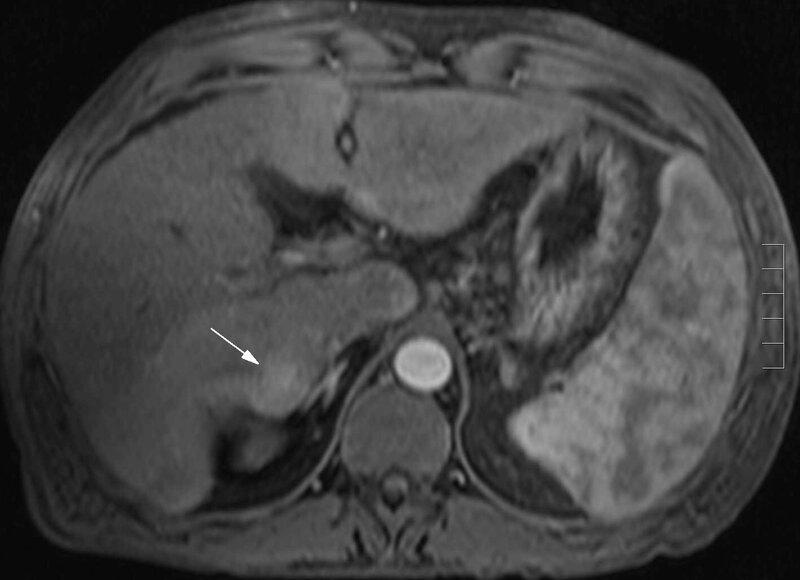 1g Image 1g, 1h, 1i and 1j (Magnetic Resonance Imaging): MRI of the same patient demonstrates a lesion measuring approximately 2.5 cm in diameter on the inferomedial aspect of segment 5 in a subcapsular location. 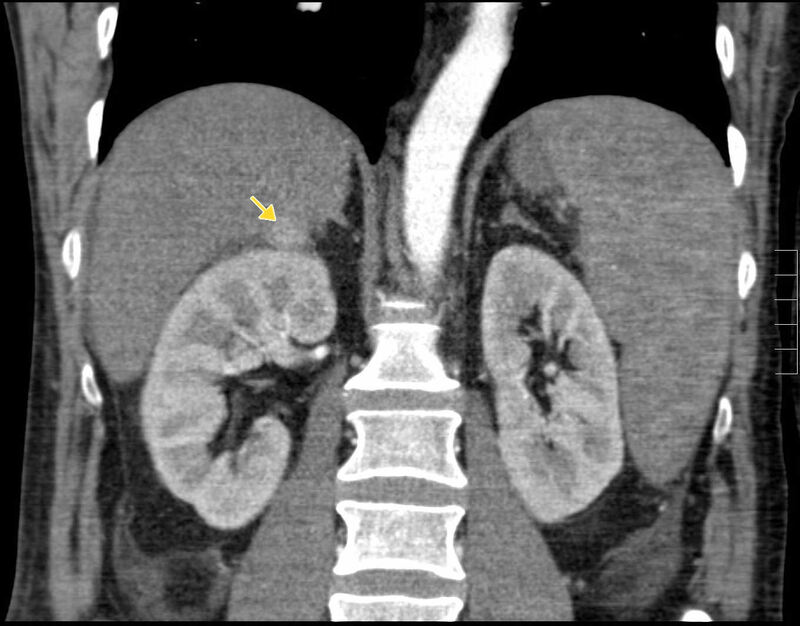 This is bulging the capsule of the liver at the level of the upper pole of the right kidney. 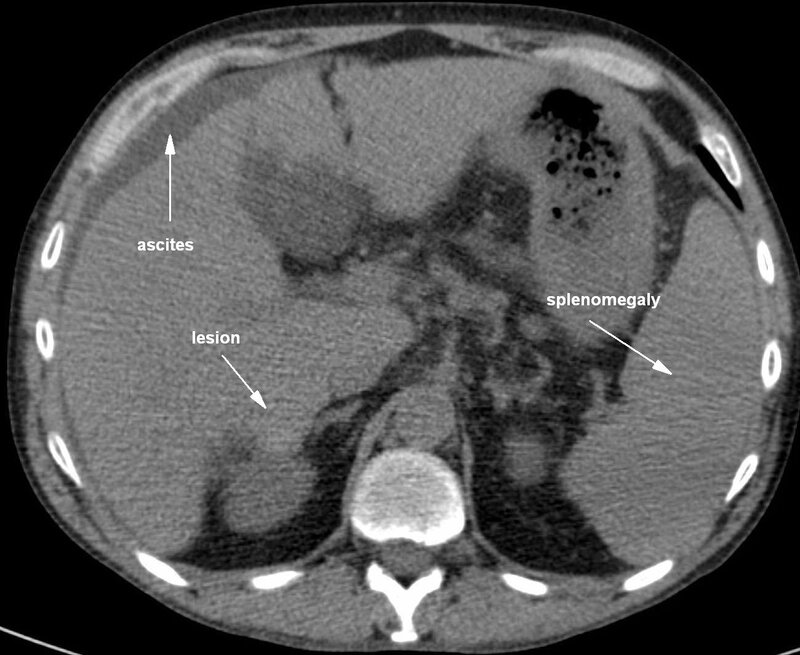 The lesion is essentially isointense to the rest of the liver on T1 weighted imaging (out of phase) but is slightly hyperintense on in-phase imaging suggesting that the rest of the liver has some fatty infiltration. The lesion is slightly hyperintense on first echo T2 but is not clearly visible on more heavily weighted T2 imaging. The lesion shows arterial enhancement but washes out in the portal venous phase, with the rim of the lesion remaining enhanced. 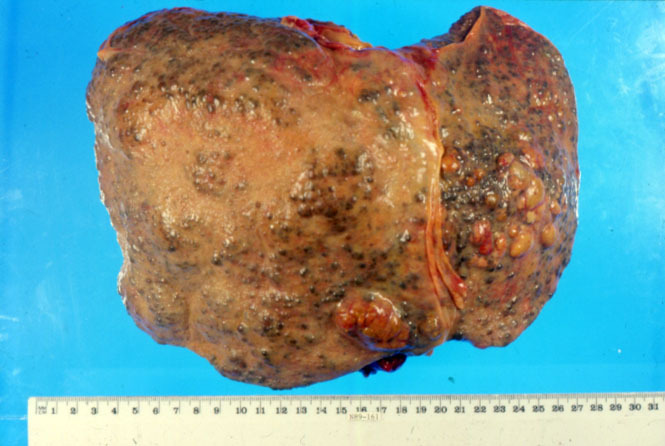 The appearances are consistent with a hepatocellular carcinoma. 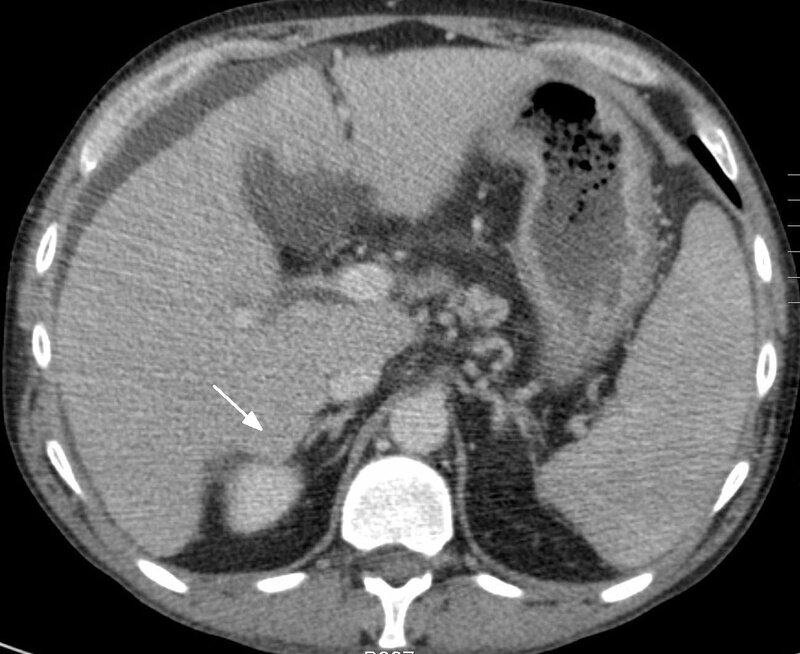 Image 2a and 2b : Hepatectomy specimens showing a multifocal hepatocellular carcinoma with areas of necrosis and haemorrhage arising in a cirrhotic liver. 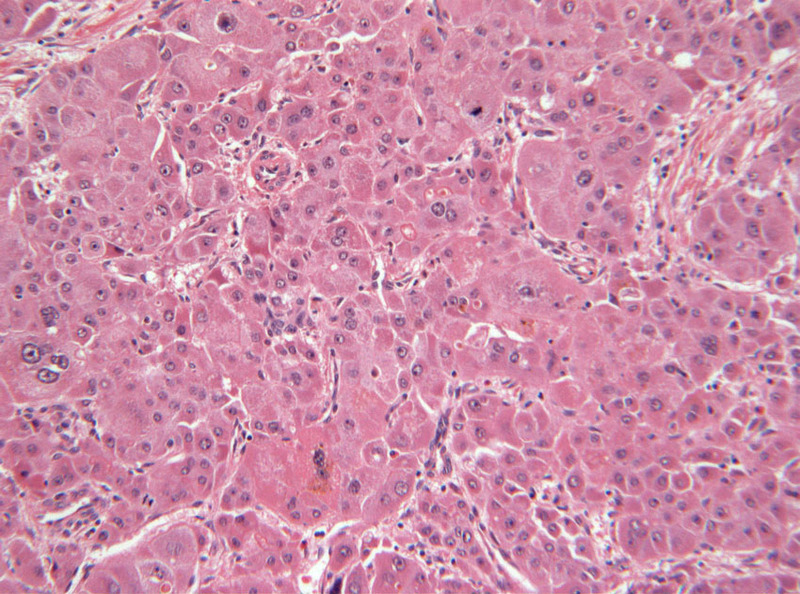 2c Image 2c (H&E, x2.5) and 2d (H&E, x10): Histological sections of a hepatocellular carcinoma arising on a background of cirrhosis. 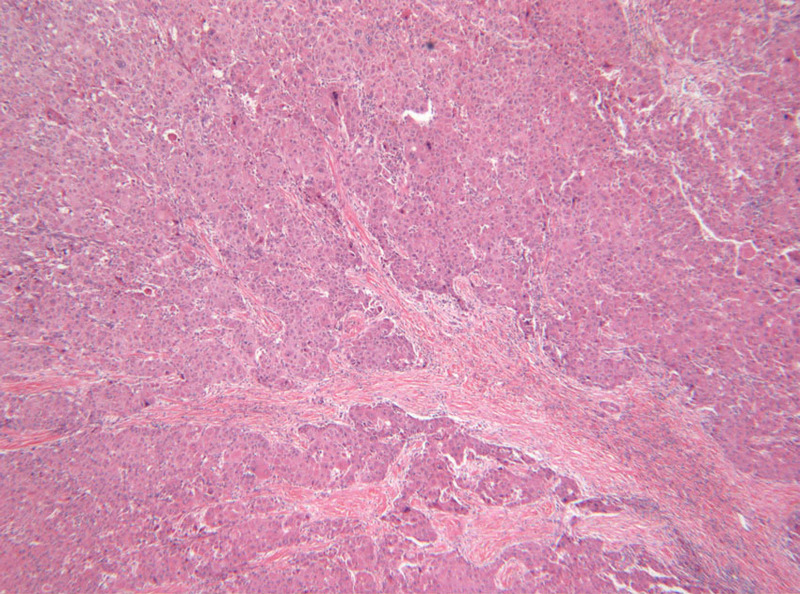 The usual lobular architecture is replaced by irregular and thickened trabeculae of malignant hepatocytes. There is mild nuclear pleomorphism.